Courtney Love may be the stuff of celebrity and show business gossip these days, she certainly seems to have found her own personal 'self destruct' switch, and flicked it a few times. 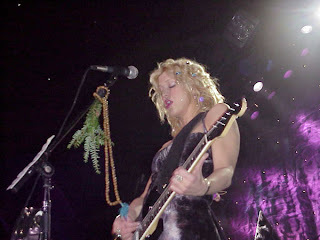 All of which can easily overshadow the fact that with the band Hole, she recorded some good alternative rock songs along the way, some even Grammy award nominated. Live Hole were more than capable of being the 'grunge' act, however their 'rough' and sometimes 'edgy' sound, was more than complemented by some tight and professional musicianship. 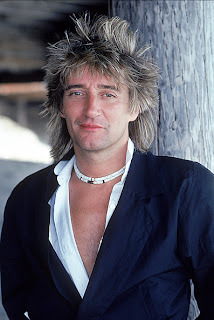 This is Rod Stewart live at The Ibrox Stadium, Glasgow, Scotland recorded on June 18th 1983. Ibrox Stadium is home to Rangers Football Club (FC), Rod is a supporter of their bitter rivals Celtic FC, however his popularity in Scotland ensured he was well received at this venue. Rod has been an ambassador of the Scottish (national) Football Team down the years, and not surprisingly has played the game regularly himself, and is known to kick footballs into the audience at concerts. This is from his Body Wishes tour, and is limited to an FM broadcast of the show, featuring the opening two numbers, and the latter part of the concert. Sound Quality: Very good FM stereo.